Live! Casino in Maryland opened June 6, 2012. In June 2018 Live! 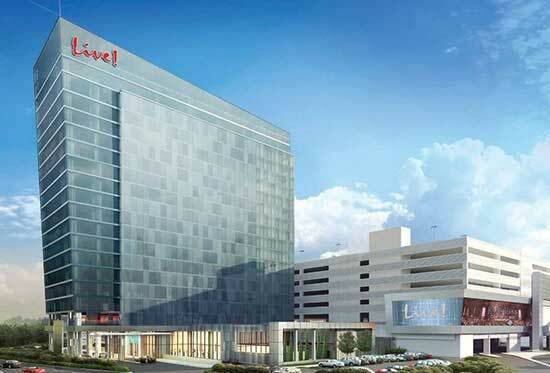 Casino open a new $200 million luxury hotel named Live! Hotel. It is a 17-story, 350,000 square-foot hotel hosting 310 guest rooms. Amenities include a salon and spa and restaurants. $200 million luxury hotel opened June 6, 2018. HANOVER, Md., April 9, 2018 /PRNewswire/ -- The Cordish Companies and Live! Casino & Hotel today announced they will welcome the first overnight guests to the new luxury LIVE! HOTEL on TUESDAY, MAY 22, 2018. The 310-room hotel is the first hotel in the world to carry The Cordish Companies' nationally-renowned Live! brand. 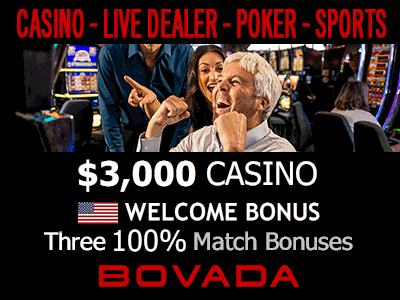 The Call Center is now accepting reservations at (443) 445-2929 or guests can book online at www.LiveCasinoHotel.com. Located at Live! Casino, the 350,000- square- foot hotel features lavish guest rooms designed with a mix of modern style and chic, urban flare, along with public spaces showcasing floor-to-ceiling windows, high ceilings accented with striking chandeliers, and wood and polished marble throughout. New dining and nightlife options include DAVID'S, featuring 24-hour service and an eclectic menu of culinary creations inspired by The Cordish Companies' Chairman David Cordish's world travels; THE LOBBY BAR AT DAVID'S, with more than 50 seats and live entertainment, will serve as the centerpiece of the lobby area; and LUCKIES, offering expertly crafted espresso, Starbucks coffee drinks, fresh-baked pastries, and a wide variety of Italian specialty gelato. A new, expanded SHOP LIVE! retail store offers exclusive Live! logo merchandise, sundries, snacks and Maryland Lottery tickets. The LIVE! SPA will provide hotel guests, casino visitors and day guests a luxurious and welcoming escape to relax and recharge. Managed in partnership with the award-winning boutique spa management company Trilogy Spa Holdings, the facility will offer a variety of massage therapies, body polishes, and body wraps, along with advanced skincare and anti-aging treatments from Villa Floriani. In addition to five spa-level guest suites with private in-room treatment areas, couples or friends can indulge in the duo treatment suite, equipped with massage tables and a tub for two. Fitness enthusiasts will appreciate a fully-equipped gym offering full-body strength and cardio training, complete with picturesque window views of the dramatic surrounding landscape. The beauty salon will offer manicures, pedicures, hair services for individuals, and a featured outdoor patio area, ideal for groups of girlfriends, bridal and private parties. "We are eager to welcome our first guests to Live! Hotel and show them something truly remarkable with this combination of dynamic gaming, first-class accommodations, entertainment, dining, and retail, along with our trademark customer service," said David Cordish, Chairman of The Cordish Companies. "This all-inclusive experience has been a vision since we first opened Live! Casino, and it is thrilling to see it come to fruition in a way that exceeds even our greatest expectations." The final phase of opening will occur in June 2018, with the debut of the GRAND EVENT CENTER, featuring more than 20,000- square- feet of customizable event space, including a large ballroom with six breakout rooms and seating for up to 800; along with expansive pre-function space for business meetings, professional conferences, weddings, or corporate retreats. In addition, the Event Center will be home to a 1,500-seat concert venue with a built-in performance stage, featuring a regular lineup of headline entertainment to be announced. A Phase 2 expansion project, to be completed in Spring 2019, will double the size of the meeting and banquet space to 40,000- square- feet, and enlarge the Event Center seating capacity to 4,000 seats for concerts, special events, conventions, and meeting space for both private and County events, such as High School graduations.